Welcome back readers, I hope you’ve been enjoying my blogs thus far, can’t believe I am on my seventh already! 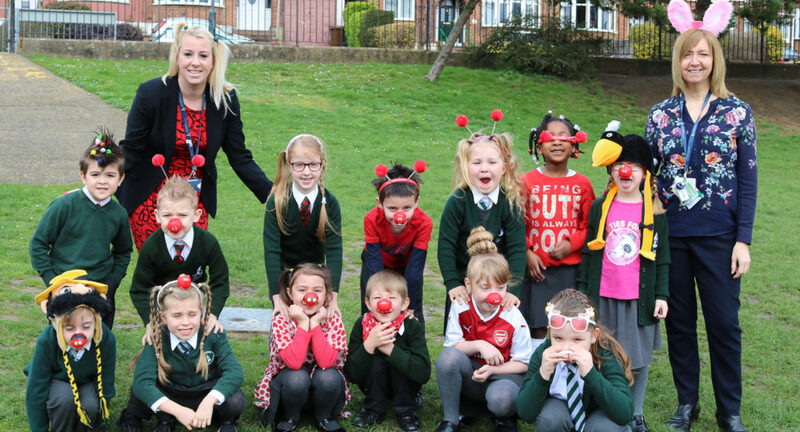 So the week of 11th March saw a big event in our schools calendars – Red Nose Day! Newbridge Junior School held a “Bake Sale” to raise money which was organised by their school council. New Horizons held their very own ”New Horizons has Got Talent” show as well, with acts ranging from contemporary dance, solo singing to comedy sketches, along with a few acts from the staff. The total amount raised is yet to be confirmed, but will be published in the upcoming Easter edition of Our Trust. Another special event, which is very close to my heart, was our launch event of Thinking Fitness’ partnership with youth cancer charity You Can. Thinking Fitness is now offering a comprehensive, free-of-charge, four to six week fitness programme to members of the local community up to the age of 35 who have been diagnosed with cancer. The charity offers support and guidance throughout the South East. We were delighted to have over 40 people attend the event including the Mayor of Medway, local councillors, representatives of You Can, Headteachers, our Well-being Ambassadors, members of the local community and people who will be benefitting from the scheme. I am sure you’ll all love the photo below of me on the resistance machines with the Mayor and Councillor Potter. The event had a great atmosphere and I was honoured to be asked to open the event. 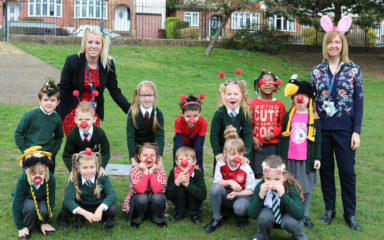 There were many other great stories from across the Trust this week too. Cedar held their first intergenerational learning session this week, welcoming eight residents from Watling House in Gravesend into classrooms in KS1. Kirstie Jones, Headteacher, was delighted with how well the first session went and was so proud of how the children represented the school. Conversation flowed between the children and the visitors, the eldest in their 90s. I look forward to hearing how this project progresses throughout the year. The Treetops pupils at All Faiths took part in an Open Arts project in partnership with the resident artists as Sun Pier House in Chatham. The children have been working on this project weekly and this week they visited the studio at Sun Pier House to see their artwork on display. The focus of the sessions involved the deaf pupils and their hearing friend discuss identity and they then represented themselves using a range of media. Portsmouth schools have been participating in ”bikeability” and ”scootability” this week. The children at Penhale Infant School and Newbridge Junior School have been learning how to safely ride their bikes and scooters. An excellent way to build on their knowledge of road safety from their PSHE lessons. We’ve also had some brilliant parent appreciation awards this week, coordinated by Portsmouth Pupil Voice. A huge well done to Jo Teare and Jack Jones at Newbridge for their awards. A real example of going above and beyond the call of duty. New Horizons were notified this week that they are on track to achieve the Gold Sports Mark Award through demonstration of the commitment to develop the improving sports provision at the school – straight in at Gold which is a fantastic accomplishment. The STEAM club at Gordon’s are preparing for their Spring Grand Prix, which will include a series of races they will be running using their engineering and science skills! Children have also been using their green hats to think of ways to create a marble run that lasts exactly 60 seconds, this ties in with the new marbles in a jar reward system at the school. What a great idea to get the children engaging with science. I look forward to hearing more about their marble run creation. The Gordon school choir took part in the Medway Music Association event at Chatham’s Central Theatre on Thursday. They were the smallest choir in attendance but showcased their confidence as they demonstrated how professional they are by singing all 14 of their songs without song sheets. Well done to the choir and to the members of staff who have been dedicating their time to support the choir. The choir at RGS ”NChant” recently performed at the BBC Songs of Praise semi-finals in Bolton, however they are sworn to secrecy as to how well they did! They have also been asked to perform in July at an event at Rochester Castle alongside the BBC Philharmonic Orchestra and Collabro, winners of the eighth series of Britain’s Got Talent – what an amazing success! Hoping I get a ticket please! Our Portsmouth schools also took part in a joint subject cluster meeting on Tuesday, held at Isambard Brunel Junior School. Kate Keller, Headteacher at Penhale Infant school, was pleased to see how these meetings will enable the Portsmouth Trust schools to share good practice and work closely together. Thank you to Lucy Caroll at Isambard and Meredith for organising. Sara Paine, Headteacher at Meon Junior School was delighted to let me know that her Year 6 pupils have been acing their arithmetic tests this week, a great sign of progress for this year group. Natalie Sheppard, Principal at The Portsmouth Academy has also let me know that 90%+ of lesson observations were graded good or better in their peer review which is a great achievement for the school. Victory have also reported that 100% of Year 7 maths are on track to achieve their attainment targets – well done to the Maths team at Victory. Meredith, Penhale, Meon and Moorings Way Infant Schools all took part in the Portsmouth Music Hub auditions for the Infant Voices Festival. The festival will be taking place at the Guildhall on 20th March. Mandy Gage, Executive Principal, and Janina Villalta, Head of Staffing and Operations across Victory and Holcombe, attended the TES recruitment event in London on Saturday. They’ve met some great potential new English staff for the school. Our recruitment team have been out and about at lots of events at Universities and Colleges over the last few months, giving up their weekends and evenings to ensure we attract and engage with amazing talent to teach our pupils. Goodwin Academy, who joined our Trust at the start of September this year, launched their well-being committee this week. Simon Smith, Principal at Goodwin commented on how positive and uplifting the staff briefing was and how staff engaged with the initiative. I’ve heard of plenty of positive governor visits this week. We encourage our governors and schools to arrange regular visits and for governors to fill out a review form for our records of what they have seen and any recommendations they may have throughout the year. It’s a great way to ensure our governors are fully engaged with the schools within their remits. From my point of view it’s been a great week, I’ve been busy attending lots of Governor meetings that take place at this time of the year. I also attended the Central Senior Leadership Team meeting on Tuesday which allowed me to get a great insight in to how each of our departments across the Trust are improving to create even better efficiencies for our Trust. I’ve delivered Ofsted training on the new framework to governors, spent some time at Isambard, attended a local authority Education Partnership meeting, along with meeting various other schools and catching up with our Headteachers. The weather has played a big part this week with the wind causing a bit of chaos. So thank you to all of the staff who have coped with some of the playgrounds being out of use due to fallen trees. I am wondering if we need to develop a branch of Thinking Facilities who can specialise in tree surgery!